Illuminations is focused on designing and installing attractive Christmas light displays for both commercial and residential properties, weddings and corporate events. Their vision is to use modern energy saving LED bulbs to illuminate residences or events with customizable designs and layouts. Professionally certified installers and unique products are key ingredients to their success in Vancouver, Canada. The minimal and modern technology relates to Illuminations and their high-tech digital LED lighting products. 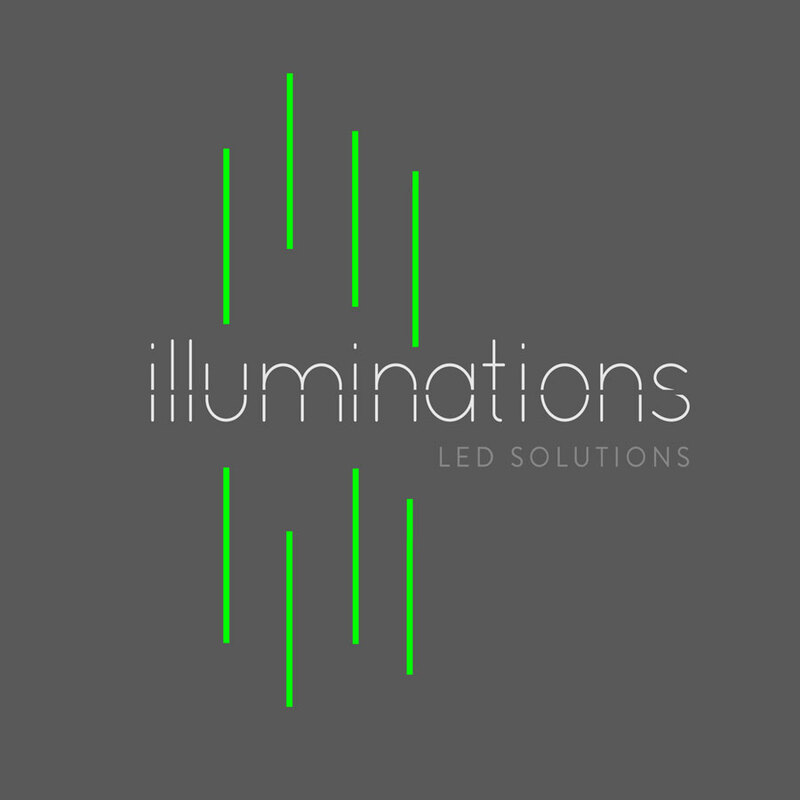 The green lines surrounding the typography represents the LED lights key, a key technology of Illuminations.